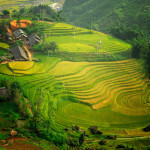 When you awake on Day 2, open the window and have a look outside – weather permitting you will be treated to amazing views across the rice terraces in the valley. 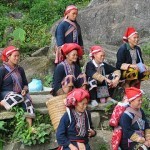 After breakfast you will make your way to Tavan where you will visit the Giay minority people. This tribe traditionally fished for a living and as a result established themselves close to rivers. They have mastered the art of fishing with bamboo sticks, and cook the fish in the bamboo. 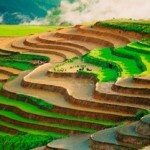 Nowadays however you are more likely to see the Giay working in fields planting or harvesting rice. 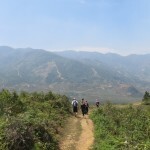 We will continue our walk through an impressive bamboo forest to Giang Tachai, and then on to the village of Supan where you will be able to rest your legs and take in the stunning mountain scenery as we stop for a picnic lunch.